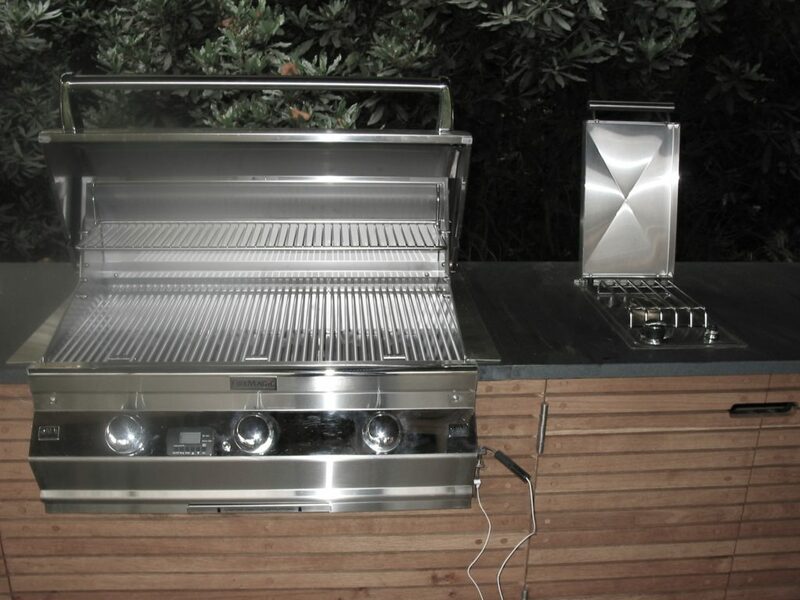 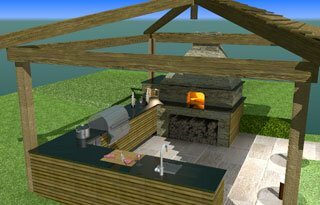 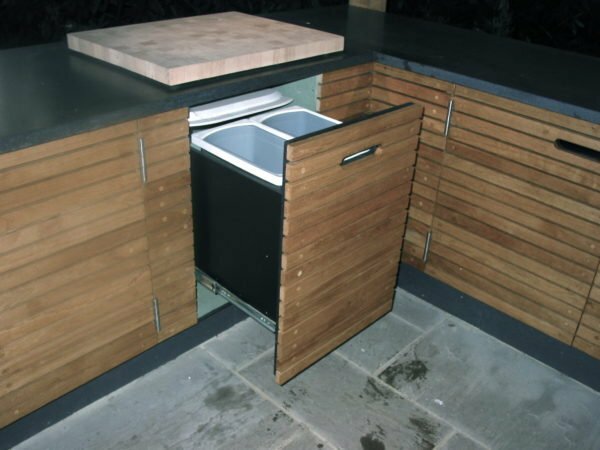 In 2010 we were asked by luxury house builder Octagon Developments to develop a design for an outdoor kitchen for a new build house in St Georges Hill, Weybridge. 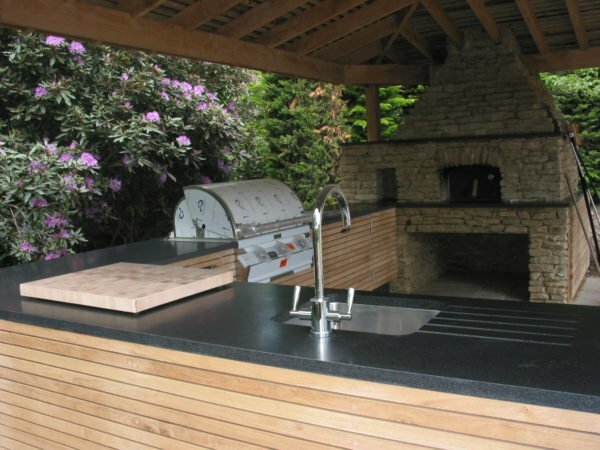 The client wanted a covered cooking area adjacent to a sauna building so he could entertain guests so the design incorporated a large wood-fired oven, a gas BBQ and side burner, a sink with disposal unit and plenty of cupboard storage. 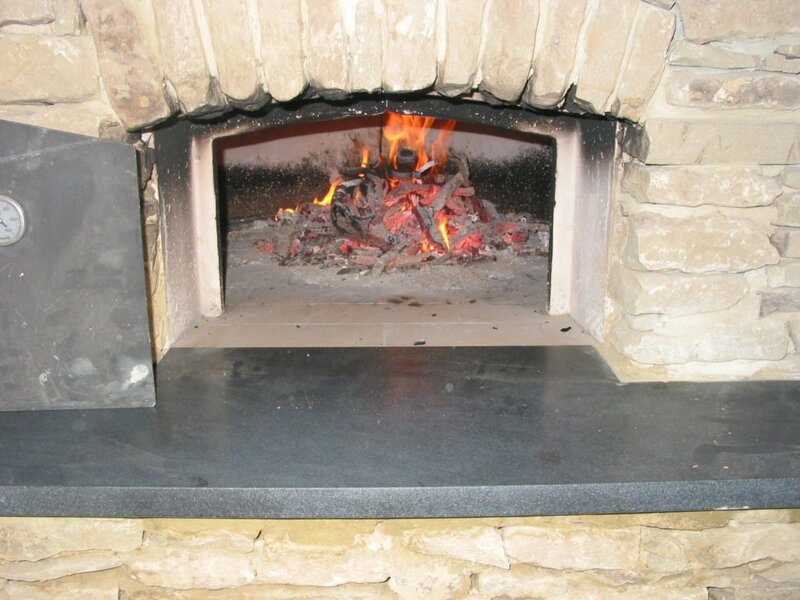 The oak frame and cedar shingle roof fitted well with the sauna building so we carried the theme through with oak cladding to the units and sourced a local Horsham stone to clad the oven. 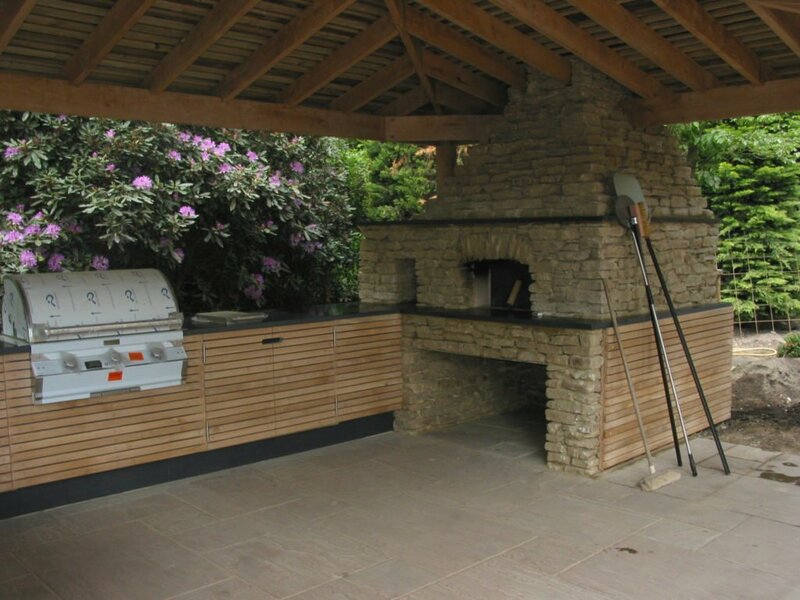 The client was delighted with the resulting installation and has made full use of all the appliances over the years.